Canine seizures can be caused by a number of health issues such as brain problems, as well as emergencies such as poisoning and heat stroke. What is a grand mal seizure? What are the signs and symptoms? 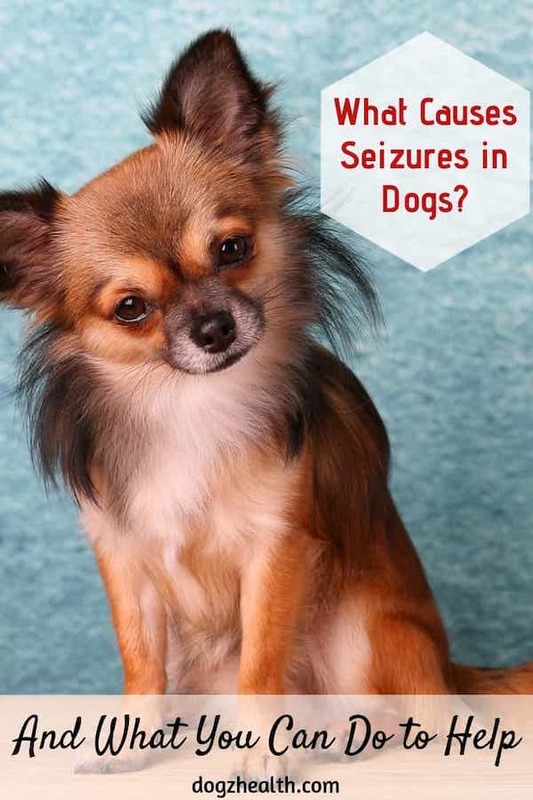 How can we treat dog seizures? Read on to find out! A seizure is the result of an abnormal burst of electrical activity in the brain, usually in one of the cerebral hemispheres. Before the onset of the actual seizure, an affected dog will go into a state called the “aura”. During this aura stage, the dog displays some behavioral changes, such as restlessness, anxiety, crying out, and seeking affection. Following the aura state is the actual seizure which usually lasts less than two minutes. In the “tonic” phase of the seizure, the dog typically collapses and extends his limbs rigidly. He becomes unconscious and may even stop breathing for 10 to 30 seconds. After that, the “clonic” phase begins. The dog will exhibit motions of running/paddling in place. Sometimes the dog will also exhibit such actions as chomping, chewing, drooling, or urination and defecation. When the dog regains consciousness, he will show signs of disorientation and confusion. This is called the “post-seizure” state. The dog may try to get up and walk, only to bump into a wall or furniture. This post-seizure state may last for several minutes to hours. A partial seizure is one which only involves one area of a dog’s body. For example, there may be twitching of the facial muscles, or jerking of a single limb. Partial seizures can be either “simple partial seizures” or “complex partial seizures”. A simple partial seizure affects the area of the brain that controls movement. Usually, it affects the face (commonly limited to only one side), resulting in face twitching or eye blinking. If the seizure spreads, other parts of the body on that same side will be affected. The dog is usually conscious and most likely very alert. A complex partial seizure affects the area of the brain that controls behavior. 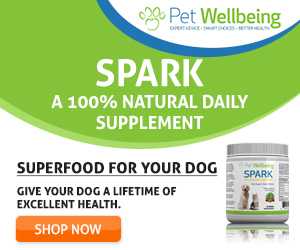 This causes the dog to show strange behavior, such as unprovoked aggression, or senseless irrational fear. Hysterical running, biting of limbs, and smacking of the lips are other common behaviors associated with this type of seizure. Idiopathic epilepsy is perhaps the most common cause of seizures in dogs. The word “idiopathic” means “no known cause” and this type of seizure is possibly inherited. There are many dog breeds that are known to be susceptible to epileptic-type seizures, such as the German Shepherd, the Dachshund, the Collie, the Beagle, the Golden Retriever and the Poodle. 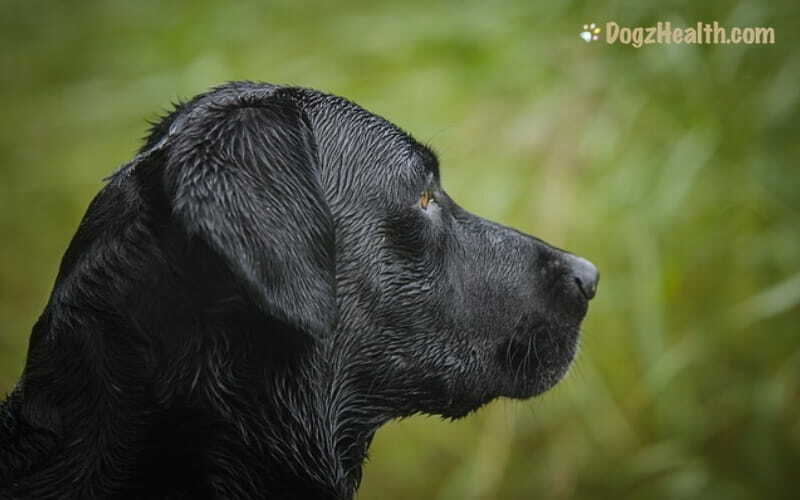 Accidents involving injury to the head may be a contributing factor to canine seizures. Seizures associated with a concussion can often occur weeks or even months after the head injury. Brain tumors can put pressure on a dog’s brain which can cause seizures. Dogs with brain tumors will also show other signs such as loss of coordination, deteriorating vision, and behavioral changes (e.g. aggression). If you have an older dog with no history of seizures but has suddenly started having episodes of seizures, there is a strong likelihood that he has a brain tumor. Be sure to get your dog to the vet for a checkup. Encephalitis is usually caused by bacterial or viral infections. Sometimes it can also be caused by lead poisoning (lead encephalitis). Other signs accompanying encephalitis include fever, depression, behavioral changes (usually aggression), uncoordinated gait, and coma. When canine distemper progresses to the second stage (occurs 2-3 weeks after onset of disease) and gets to the nervous system, grand mal seizures may occur. The dog may run in circles, falls over, and kicks all four legs wildly. Other symptoms associated with distemper at this stage include slobbering, head shaking, and chewing movements of the jaws. Another possible cause of seizures in dogs is heat stroke, which is an emergency and requires immediate veterinary treatment. If your dog has been out in the hot sun for a while and he starts panting heavily and vomiting, suspect heat stroke. Other symptoms of heat stroke include high fever (up to 104° to 110°F); a bright red tongue; bright red mucous membranes; thick saliva. Low blood sugar can also trigger a seizure. It can occur in small-breed dogs who have not eaten enough, or in diabetic dogs who have received too much insulin. Other diseases that may cause seizures in dogs include liver disease (hepatic encephalopathy), and hormonal disorders (such as Cushing’s disease). If your dog is in a dangerous location during a seizure, move him to a safe place. Otherwise, do not disturb the dog. Do not try to use anything to restrain the dog’s body as he may injure himself during violent convulsion if his movement is restrained. Do not put your hand in or near the dog’s mouth – The dog may inadvertently bite you seriously. Note the characteristics and the length of the seizure. Get the dog to the vet as soon as the seizure is over. To treat seizures in dogs, a vet has to identify and treat the underlying cause. At the same time, he has to use anticonvulsant drugs to suppress or stop the seizures. Conventional medication for canine seizures include Phenobarbital, Valium, and Potassium Bromide. If you prefer to go natural, check out Doc Ackerman’s Epilepsy and Seizure Formula . It is a 100% natural herbal remedy with herbs such as passionflower, valerian, and chamomile that are well known for soothing the brain. The remedy can improve the stability of the nervous system.